In the Tel Aviv suburb of Zahala, about 150 students study at the ONN School for Special Education. The school is special in that most of the children who attend, have cerebral palsy and other degenerative diseases while others have secondary disabilities that include speech, sight and hearing difficulties. Occupational and speech therapists, physiotherapists, social workers, psychologists, and of course teachers, make up the school's staff. Cerebral palsy is a non-progressive brain disorder that damages brain tissue that controls movement, impairing muscle coordination. Established 50 years ago, the ONN School is open 11 months during the year and six days a week, for students who come from 60 different communities across Israel. The diverse student population includes Muslim, Christian, and Jewish children. 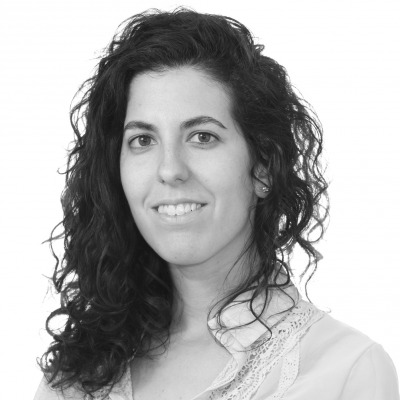 "We have Arab students, alongside Haredi and religious Jewish students, as well as children of foreign workers, and sabra Israelis, rich and poor -- they are all educated in an open and accepting environment," said ONN's Vice Principal, Shenhav Berman in an interview with Tazpit News Agency. "There is a special atmosphere here. When a religious Jewish student blesses his food, his Arab friend will answer amen," Berman told Tazpit. "We celebrate all the Jewish holidays but the students also learn about Ramadan and children will bring in candies and foods during Eid al-Fitr and Christmas," she added. "The children have to deal with challenges every day, from seemingly insurmountable learning troubles to mobility issues. When they meet each other, there is mutual understanding of what the other is going through," explains Shehav. "That creates a special bond between the students that crosses all lines." The ONN School, which is open six days a week, offers a holistic approach and aims to provide academic, social and life skills for the students, who range from 6 to 21 years of age. Classes are made up of no more than 8 students who in addition to acquiring an education, are also prepared for life after school. The administration works to find them suitable frameworks once they graduate high school. While there are other schools in Israel similar to the ONN School, the state school is the largest one in the country according to Berman. "I'm very proud of our school and especially of our students," Berman told Tazpit. "The kids don't feel sorry for themselves. They work to win their battles every day. We are there to help them overcome their challenges and you can feel that there is a happy atmosphere here." "More people need to hear about us," added Berman. 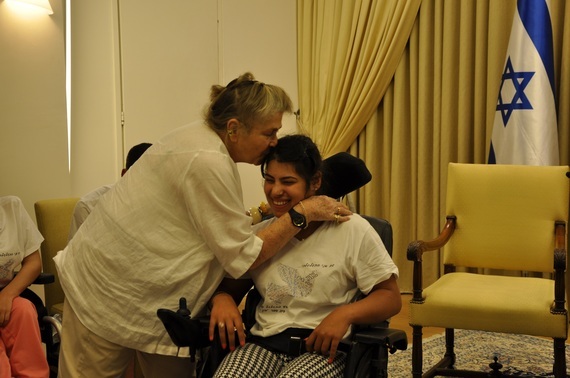 Indeed, on Tuesday, June 9, 10 special needs students from the Onn School were hosted by First Lady Nechama Rivlin during a special Masa-Journey Israel project for students who require special assistance as well as use of wheelchairs. The 10 students took part in a special three-day program for those completing their high school education and took part in activities that addressed issues related to personal, national and social identity. Among the students who participated in the visit were Walid Abu Habish from Jaffa, Omer Lahat from Shoam and Nastia Molodovsky. Molodovsky told the First Lady that she was completing national service at a medical center and Lahat, 19, explained that he would soon be enlisting to the IDF to serve in the Home Front Command. "I have been struggling for a year to be able join the IDF, and I was waiting with bated breath," Omer Lahat told Rivlin. The First Lady congratulated Lahat, who will be enlisting next week, and presented him with a small Book of Psalms as a gift. "I want to congratulate you for volunteering to serve in the IDF, may you be a wonderful example to many students, and all those who will serve with you," she said. The First Lady told the special needs students that she was very pleased to host them at the President's Residence. "Out of all the honored guests from Israel and around the world that come to sit in this room, I am deeply honored to meet with you," she said. Photos: President's Spokesperson / Israel's President Reuven Rivlin and his wife, Nechama, with a delegation of ONN School students visiting the President's Residence in Jerusalem last week.